Home > Blog > XPS 13 is Finally Perfect. Smile! The ambition to become an innovation powerhouse may soon be realised for the Asia-Pacific and Japan (APJ) region as a large proportion of its Generation Z – those born between 1996 and 2010 – begin to enter the workforce and leave their digital mark on the economy. In a year from now, members of Generation Z, also known as ‘Gen Z’, born after 2001 will make up almost one-third of the world’s 7.7 billion. Home to almost 60 percent of the world’s population, APJ will soon witness its Gen Z labor pool expand significantly. New possibilities are on the horizon for leaders looking to build truly digital organisations by tapping on the strengths of these ‘digital natives’. Gen Z’s technological adeptness is poised to become a game changer in helping APJ businesses navigate today’s disruptive business landscape and realise their true innovation potential. 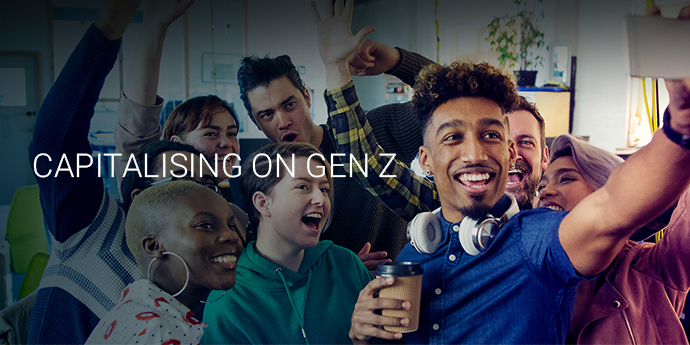 Armed with their digital adeptness and collaborative spirit, Gen Z will be the voice of innovation and continuous improvement; they will push organisations to maximise the use of technology to achieve new levels of transformation. Businesses in APJ need to prepare themselves for this, and those that have the right foundation to fuel these bold perspectives will succeed. Gen Z inherently views technology as an enabler, and so their arrival will profoundly impact organisations’ existing work approach. These young workers are more comfortable using digital tools to achieve business outcomes than any other generation, and they will play an important role in enabling technology adoption across the organisation – a key agenda for business leaders, as revealed by a Dell EMC research on APJ businesses’ visions for 2030. Gen Z thrives in a technology pervasive world, and these young workers will play a crucial role in driving the digital way of thinking and approaching tasks across all departments of their organisations. Whilst business leaders are looking to automate some areas of the business in the future, such as inventory, financial administration, and sales force productivity management, Gen Z’s digital approach will further quicken and broaden the scale of change. The ‘digital divide’ among the different generations within an organisation is a worrisome issue for some business leaders. The arrival of the most tech-savvy workers yet could potentially exacerbate this problem, but the good news is Gen Z wants to share their knowledge, and organisations can use this to their advantage. Capitalising on Gen Z’s digital adeptness and their willingness to teach – 78 percent of Gen Z are willing to become technology mentors to others on the job – allows organisations to build internal upskilling efforts through mentorship and rotation programs to narrow the various skill gaps among staff. APJ organisations currently face a unique set of challenges in integrating new generations into the workforce and meeting their digital needs without compromising on security. One-third of Gen Z would like to select and manage their own technology, and an overwhelming 80 percent want to combine their work technology and personal technology. A robust cyber defense covering all end-points is a must for organisations looking to offer Gen Z the freedom they desire whilst keeping careful control of their overall security posture. As consumers, Gen Z is going to demand new levels of innovation, and as employees, they are going to enable and drive that differentiation among businesses. Their digital-first mindset, with technology as the foundation for everything they do, will transform the way organisations operate. An inclusive approach to leadership that recognises and utilities the strengths of Gen Z will allow this region to go far in the global innovation race.